Bayer is to expand its presence in China with the establishment of a research centre at Peking University. Via its pharma business Bayer HealthCare, the company will launch a three-year translational research collaboration to be called the Bayer HealthCare/Peking University Center of Translational Research for Drug Discovery (BPC/TRDD). The partnership will bring together scientists from both Bayer HealthCare and Peking University to research potential therapeutic advances in cardiology, oncology, haematology and gynaecology. Bayer will provide funding for collaborative research projects as well sponsoring a Bayer Professorship and Bayer Investigator Awards for scientific innovation at Peking University. The BPC/TRDD will be jointly led by Dr Jing-Shan 'Jennifer' Hu, VP and head od Bayer's innovation centre in China, and Prof Hong Wu, dean of the School of Life Sciences of Peking University. “The broad spectrum of basic research expertise at PKU perfectly complements Bayer's experience and long-term commitment in novel drug discovery,” said Prod Wu. Prof Dr Andreas Busch, Bayer's head of global drug discovery, explained that the partnership was part of collaborative approach to research that many pharma companies now have as part of their strategy. “Strategic alliances with international innovation partners from industry and academia are an essential element of our R&D strategy and complement our own research capabilities,” he said. 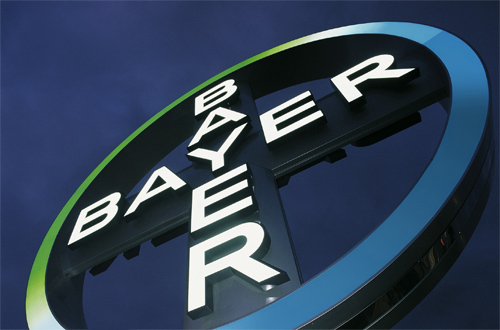 The deal also expands Bayer's existing footprint in China, which has accelerated since the company established the Innovation Center China in 2009 as part of its R&D Center China. Since then, the company has announced a deal with Tsinghua University of Beijing, to research innovative medicines until 2015 and announced a target to increase its revenues in the country to €11bn by the end of 2015.